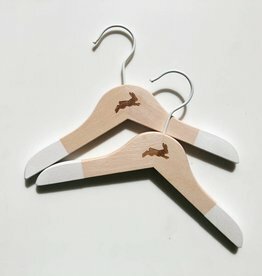 Garments are turned into memories with le petit lapin luxurious baby clothing hangers. Each hanger is stylish and firm – handmade of carefully selected materials. FSC–certified beech wood and Italian velvet ensure and maintain a perfect clothing fit. The personalisation tool – to engrave a name or birth date – makes for an even more personal item. le petit lapin brings style, quality and functionality in every nursery. 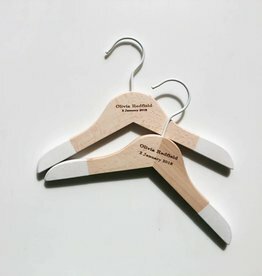 Click here to personalise your own set of 8 baby hangers.